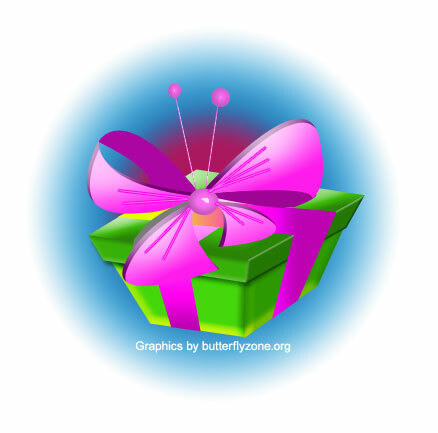 The ribbon knot on a gift box resembles a butterfly. It is a symbol of goodwill and being positive. Butterfly imagery has been used by man for centuries to decorate objects of beauty. Beautiful women are compared with butterflies. Both share the quality of elegance and grace. Men who are strong and energetic are compared with the fluttering wings of butterfly. The ancient Aztecs believed that butterflies symbolized immortality. No living thing in the world can be immortal. Birth and death are natural events. Life that exists between these two events has to be made meaningful. A person who lives a healthy and purposeful life becomes resourceful. He or she leads by example and becomes a useful member of the society. The butterfly is a great model. Some highly resourceful people regard the insect, a legend. In the words of one such person, the Gold in the wings of butterfly reminds the Golden rule that one should follow and treat the rule a must. One has to be trustworthy. First he or she should have trust, in ones own self. The blue color of butterfly means, true blue. It says, be always some one, people can trust. Being truthful with good manners builds trustworthiness. The green tip of wings of butterfly says, stay always green. A person who stays green will always go forward and be successful in life. The silver of butterfly is like the bright silver lining of dark clouds, like what it is in the clouds of doubt. One has to focus looks on this lining and march ahead. Butterflies bend with wind. There are times, they tend to drift. Yet, they know their direction and reach their destination with precision. Through their own insistence, they arrive at places they want, by being persistent. This is their success story.